As North Korean leader Kim Jong Un meets with President Donald Trump for a summit in Hanoi, Vietnam, all eyes are on the Hermit Kingdom – one of the most closed-off places in the world. 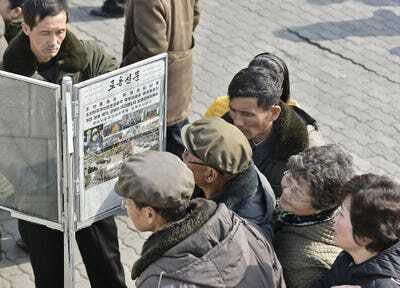 Propaganda runs rampant and presents a very different outlook on day-to-day life for North Koreans. But much of the country lives in poverty, thousands of people are held as political prisoners, and the government controls most aspects of life. 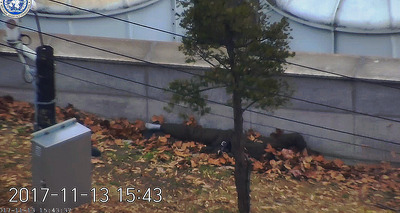 North Korean leader Kim Jong Un keeps a close watch over the media in his country, controlling much of what citizens know of the outside world, and vice versa. Though Kim has fought to present the Hermit Kingdom to the world as a bastion of military might, nuclear power, and anti-West sentiment, the reality of daily life is grim. Much of the country lives in poverty, tens of thousands of people are held as political prisoners, and the government tightly controls most aspects of life. 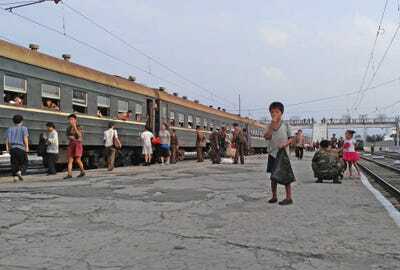 Childhood in North Korea can be difficult. Many children in rural areas have to work on farms, and forced labour drives much of the country’s economic output. 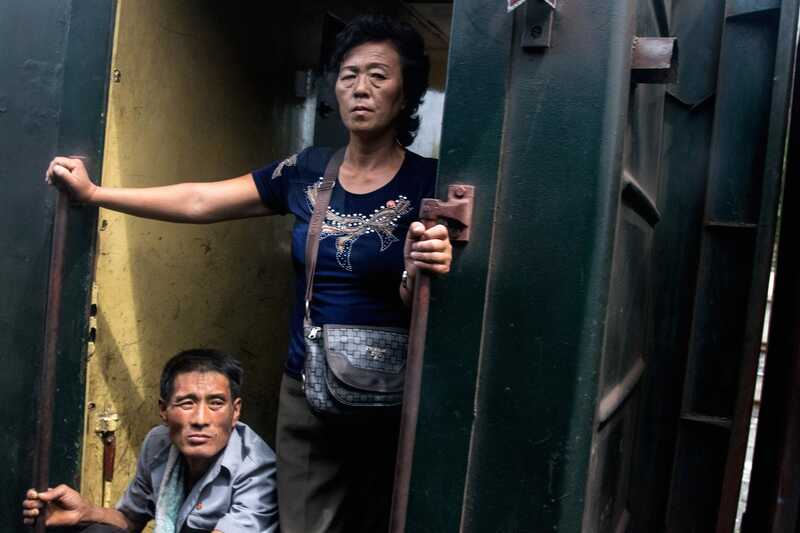 Xiaolu Chu, a Getty photographer who travelled through North Korea by train in 2015, said he noticed scores of people in rural villages begging for money. He shared some of his photos with Business Insider. 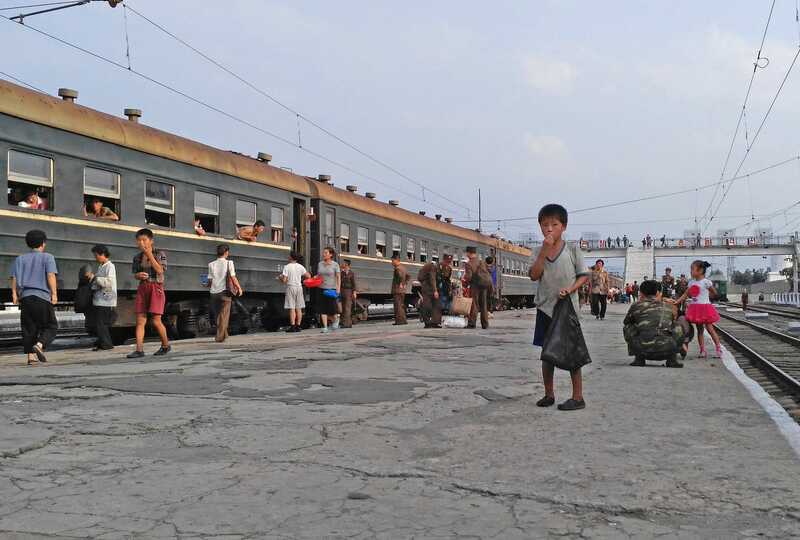 Xiaolu Chu/GettyA boy begs for food on a Hamhung Railway Station platform in Hamhung, North Korea, in August 2015. Xiaolu Chu/GettyPeople cool down at a train carriage door in North Korea in August 2015. But there are some signs that even despite the slew of economic sanctions on North Korea, its economy is beginning to stabilise, and market forces are taking hold. A number of North Korean defectors and recent visitors told The Wall Street Journal that factories in the country are expanding their output and living conditions in certain areas are better than they were. As one soldier defected in 2017, others shot him five times. 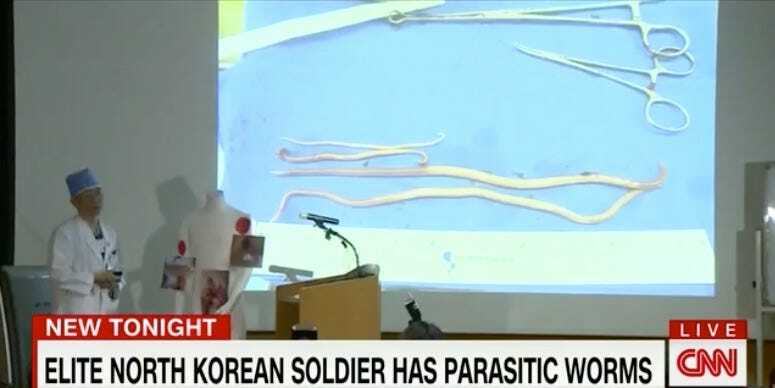 Surgeons in South Korea then made a shocking discovery as they rushed to treat his wounds: He was riddled with parasites. CNNThe defector’s surgeon presents his findings. Google EarthThe Jongori prison camp in North Korea. Prisoners in these so-called re-education camps are often starved and forced to do hard labour. Some survivors have reported harsh interrogations and even torture. Though there aren’t photos of the camps, they’re visible on Google Earth. 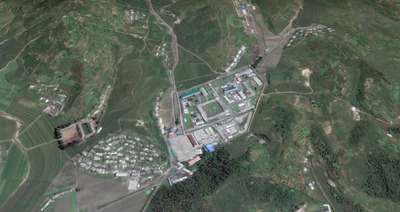 Google EarthThe Kaechon ‘re-education’ camp in North Korea. The regime also keeps a tight control over what information the public can consume. For instance, North Korean propaganda said this week that Kim is a frontrunner for the Nobel Peace Prize, ahead of Kim’s summit with President Donald Trump in Hanoi, Vietnam. Kyodo News via Getty ImagesPeople in Pyongyang read a report of the official newspaper of North Korea’s ruling Workers’ Party on Feb. 27, 2019, about the country’s leader Kim Jong Un’s arrival in Vietnam for his second summit with U.S. President Donald Trump. The international community has long condemned North Korea’s human-rights record. The US too has highlighted victims of especially egregious brutality, like Ji Seong-ho, who attended Trump’s State of the Union speech in January 2018.